What a surprise we had in assembly today! 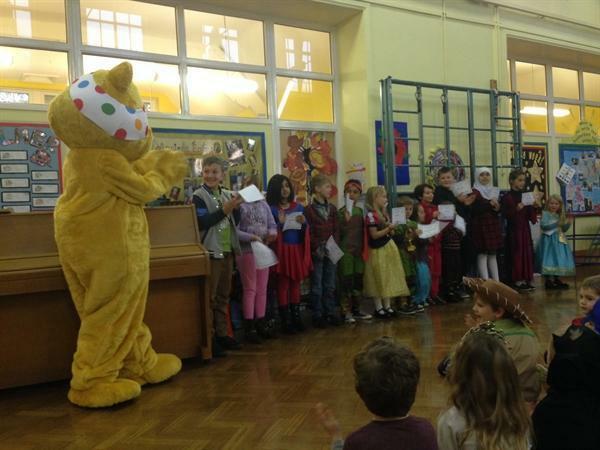 We were joined for our special, end of the week assembly by none other than Pudsey Bear! He had popped in to visit us on his way to London and collected an amazing £177 from Featherbank children. Thank you so much. While he was here, Pudsey also had the honour of presenting certificates to this week's "Stars of the Week" - see below for a photograph of some very proud children!